Although aluminum siding is not as popular as it once was there are still many homes in Michigan that have aluminum siding installed. And in fact, it’s still a popular type of siding although not as popular as it once was. There are some advantages and disadvantages of using aluminum siding in Michigan which I’ll go over in this article to help you decide whether a Michigan siding contractor can update, remove, replace, or install aluminum siding on your home. If you currently have aluminum siding installed on your Michigan home some of these points may seem obvious. Things such as the noise from a rain shower may not even be considered before you install the siding on your home but it’s pretty common if you already have the siding installed. Although some people enjoy the sound of rain on the siding and metal roofing it can be extremely loud in some situations especially if there was not enough insulation placed behind the aluminum siding in Michigan. 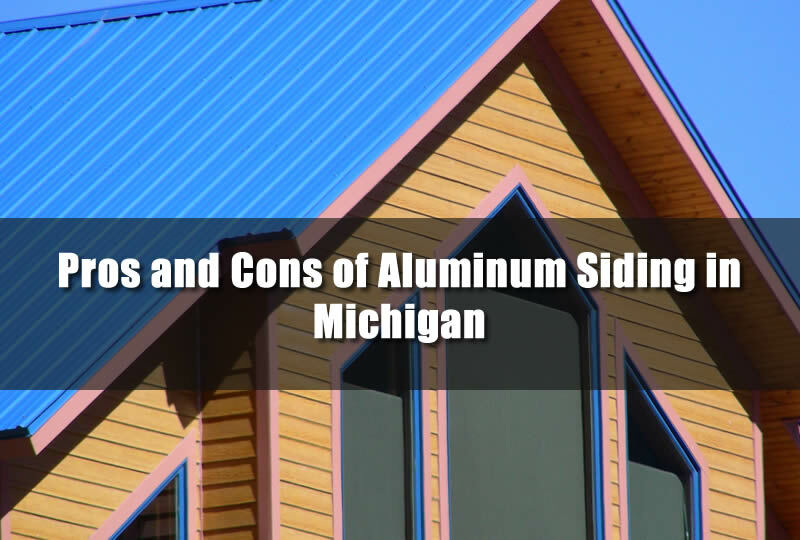 These are just some points of the pros and cons of using aluminum siding in Michigan. One of the advantages of using aluminum siding is that it doesn’t deteriorate as much as wooden siding does. If it’s correctly installed and maintained chances are it will last as long as your home. Although it can take damage it may still protect the home the same way. One of the biggest problems of aluminum siding is that it can be dented fairly easily. From falling hail or tree branches to a child throwing a Frisbee against it. 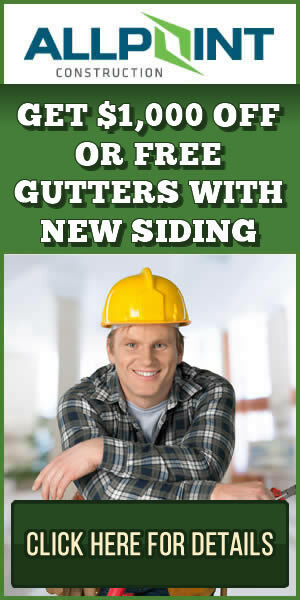 These dents are not removed easily and usually the entire piece of siding must be replaced in order to fix the dents. However, you don’t need to worry about termites or wood rot with this type of siding. As I mentioned above, once the aluminum siding is installed it can last for decades. But you’ll need to perform maintenance on the siding regularly. This is especially true if the siding was made more than 15 years ago. Modern siding has a thin layer of vinyl that protects the paint on the aluminum siding. Older versions of the siding does not have this protection and the paint may start to chalk after some time. Once this happens the siding will become dull and if you wipe your hand across the siding it will leave a chalky residue. In order to get the siding to look great again you’ll need to paint the siding. There is a special procedure for painting aluminum siding that you’ll need to follow as well. Older versions of the siding does not have this protection and the paint may start to chalk after some time. Once this happens the siding will become dull and if you wipe your hand across the siding it will leave a chalky residue. Most older versions of aluminum siding was made to mimic wooden siding which was very popular a few years ago. Now people want a more modern and even industrial look for their homes. Aluminum siding can give that to you since it’s formed in a variety of shapes and sizes. Aluminum siding also comes in a variety of colors as well. Aluminum siding and vinyl siding are very similar apart from the materials they are made from. They are mostly constructed to look like wooden lap siding. They also mostly have a locking mechanism that attaches each piece of the siding together. After the siding is installed it’s also difficult to simply look at the finished installation and determine if it’s vinyl siding or aluminum siding. The major difference in the siding is the cost of the project. Aluminum siding is much more expensive than vinyl siding even though the finished product looks almost exactly the same. Market prices on metal can also heavily influence the aluminum siding prices as well making it difficult to determine pricing in the future.